Today's polish is courtesy of my polish bff/twin Maria at Nails Made Simple :) She sent me this as a Birthday Gift! My first Chanel Polish, MAY which is my birthday month, so it makes it even more special. The formula is awesome, this is 3 coats, no top coat it dries extremely glossy. It looks so nice on your nails! What a lovely polish! And that comes from someone who does not usually wear pink. 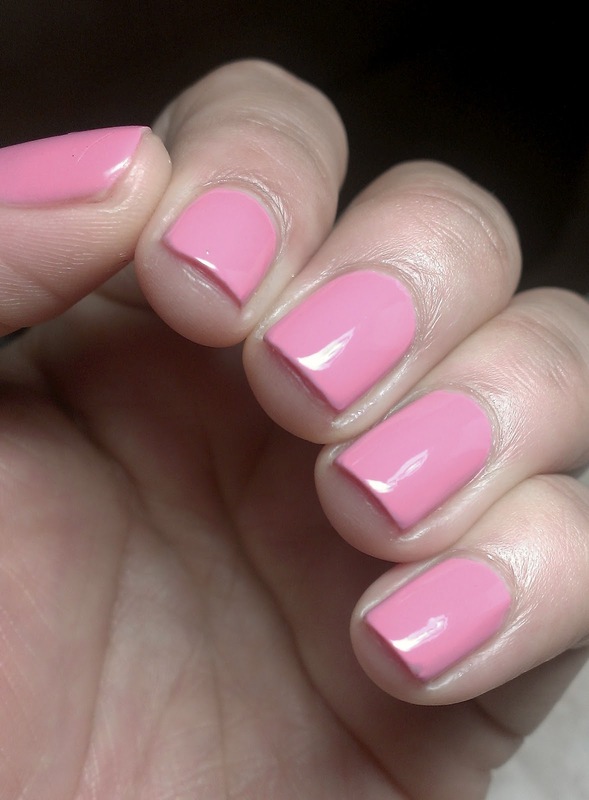 soo soft and girly! i love it! It looks so pretty on you!! Gorgeous color, and it definitely is glossy! 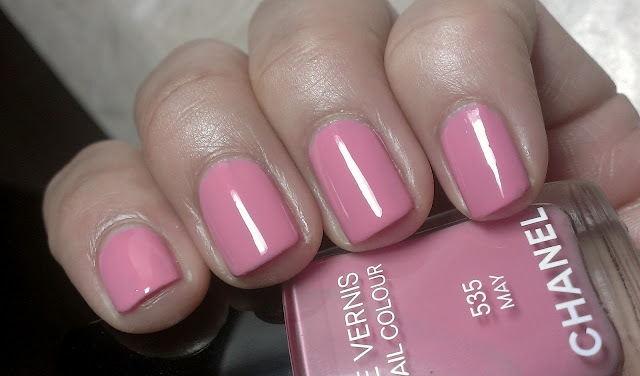 This is one gorgeous polish!! do you know how hot you look with this polish? oh forgot , you is welcome! hahhaa . maria is the cutest! this polish is gorgeous on you! What a nice birthday gift!! 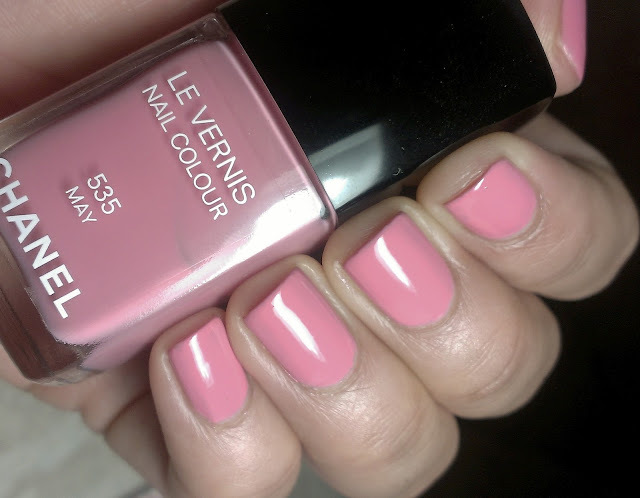 The polish is beautiful - I love soft, feminine pinks. It looks lovely on your nails. What a beautiful shade of pink. You're such a sucker for pink! Can you believe this is sitting in my "untrieds" draw? Looks beautiful on you!